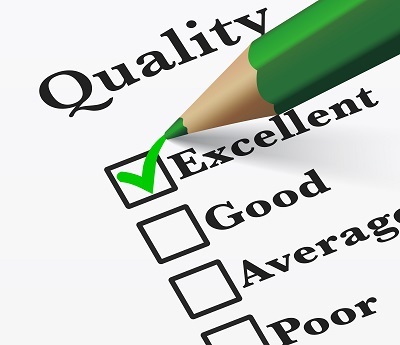 2 minutes on… What’s missing from your Quality Assurance process? Ensuring you are offering a good quality service to customers over the phone is naturally a huge priority for most businesses. But who defines what actually constitutes good quality? Due to the complexity involved, Quality Assurance (QA) processes can sometimes be fairly arbitrary. For example, is it fair that when a customer service agent handles on average over 600 calls a month that we judge their capability and level of customer service on as few as three monitored calls a month? Is it fair that one call scored as 79% overall is classed as a fail, but another call that scores 81% is good enough? Does the fact that the agent used the customer’s name twice on the call necessarily make it a good experience? This is made even worse when you introduce human judgement in making subjective decisions on whether a call exhibits empathy, ownership, or other emotive areas. All this can make it difficult for operational teams to trust quality programmes and any resulting reward and recognition (or additional training). As a result, it is often the case in contact centres that a QA process is not used as a development tool but as a monthly event that breeds either anxiety when targets are not met, or relief if they are. The question is how to implement a robust QA process that really delivers value into an organisation whilst not adding extra resource costs to already stretched budgets. Business needs are met: Ensure that any regulatory requirements were met on the call (I.e. Data Protection, FCA guidelines) at the same time as following the correct processes. A solution we have seen work involves looking at customer and business needs separately and taking any subjectivity out of the process. This means setting up a separate QA team that is purely focused on key business needs, i.e. ensuring regulatory compliance and making sure agents are following correct business processes? Focusing on these parts of a call and not having to fill out lengthy feedback forms would enable more volume to be put through QA teams (which in turn would help organisations demonstrate compliance more robustly). Changing a QA process to a model like this is not simple and requires buy-in from various stakeholders in an organisation. But once implemented the benefits can be huge – not least of which is improved engagement from all levels of staff, who will see this as a much fairer way to assess skill and competence. Also the volume of ‘monitored’ calls would jump up from the standard of 3-5 calls per month to over 20 per member of staff. An added benefit is the business insight that would be generated from customer verbatim comments that can help drive improvements to the customer journey. A good QA programme can really drive performance in frontline teams – is that something you can say about your current process? If not, maybe it’s time to incorporate the only opinion that really matters: your customer’s. Previous Previous post: Would you pay 40p to retain a customer?